Exclusive designs inspired by the S.F. underground. Unrivaled quality. Starting 2017 the Right Way with New Hat Styles! Voodoo Hatter has never had trouble delivering an edge to the top hat world and this time around they have really pulled all stops. These new Voodoo hats bring this style to life in reimagined ways to accessorize the way you ride, rock, and rebel! Not everyone is brave enough hunt rattlers and not everyone is brave enough to wear the RATTLESNAKE. Leave no doubt to your level of fearlessness and daring with this striking topper. The Pale Rider is handmade of the darkest black leather and made startlingly remarkable with its rattlesnake band. Don’t be surprised if the less courageous step back in fear, for this hat is not for the faint of heart. A new design by renowned tattoo artist Adam Rose of Fallen Owl Tattoo Studio, Feedback is for everyone from the dedicated rock and roller to the Delta bluesman. Impeccably designed, this show-stopper topper is carefully laser engraved with instrumental detailing on the 4 ½ inch tall crown. Standing in the spotlight is a real guitar pick placed center stage on the band. Get ready for your solo in this hat! A new design from the highly talented designer Dominique de Leon, suspended begs you to hang on for the ride of your life. Like all of our Voodoo Hatter offerings, there is an air of mystery and mayhem surrounding Suspended. What will happen if you hold on too tightly?Where will you land if you just let go? I guess that’s a chance you have to take, unless you want to stay Suspended forever in between tension and release, anticipation and knowing. From the depths of darkness and the mists of the afterlife comes Silver Skull with the 2 Skull band designed by acclaimed tattoo artist Adam Rose. Meticulously imagined and artfully laser engraved, this hat bridges the legendary gap between life and death. The silver skulls on the 2 Skull band offer an added spark to the already heated debate – to live or to die. The Pinster is a new addition to our Voodoo Hatter line. It fits right in with its fierce sense ofplayfulness inherent in the hand cut combination of deep black leather and mesh. Don’t beafraid to kick back and cool your heels in this vented tallboy with a 5 ½ inch crown. Bring out the Evil Within with this artfully airbrushed, laser-engraved beauty. Its sharp polished claws are strikingly magnificent as they rip through the black finished leather. Durable and eye-catching in style, this hat will help you claw your way through a lifetime of adventure. Be awed across the void in this new design by Fallen Owl Tattoo Studio owner and artist Adam Rose. This distinctive hat features an intricate laser engraved dragon on the 4 ½ inch crown highlighted by a claw band. When you want to intrigue them from a distance, throw the Claw on and see who is brave enough to get close. Ashbury hats reinvents past styles with a fresh batch of neutral colors and fierce eye candy as well as adding new unique and standout looks! Classy and Sassy is what you will be feeling when you wear this hat, which features a felt crown similar to the crown of the Chaplin and a floppy black leather brim. The hatband is designed with black metallic leather adorned with a black crystal buckle. You can wear any outfit and it’s sure to match The Sassy. Once known as the “rich man’s favored hat” the Trilby is a low profile classic that brings an air of sophistication to any wardrobe or setting. Now offered in four colors – from timeless Black to eye-catching Blood-Orange, the Trilby will take your look to another level. Choose the subtle brown of Saddle or the comforting, familiar shade of Pewter to project an air of Cary Grant unruffled cool. With a 4 ¼ inch crown and a leather 1 ½” brim this hat brings an element of style beyond the sum of its parts. The Travis hat is the sporty sibling of our fashionable Sassy hat. A key element of our Ashbury line, the Travis is handmade with a leather bill and hat band and a crown of Litefelt which makes it water repellant as well as notorious for keeping its shape. Throw the Travis into your carry-on and when you reach your destination it will regain its original shape and keep you looking first-class all the way! Take your liberty in this revolutionary design of a civil war era cap. Crafted by hand, this stylish lid brings a leather brim and hat band together with a crown of LiteFelt. This union creates an everyday and special event option for your head-topping needs. No matter your destination, this hat – just like its namesake – can be counted on to make sure your outfit is on time and on point. Whether you are looking to dress up a casual, everyday ensemble or want to bring your suit up to first class, the Conductor will get you there. With lush felt and stylish leather finishing, this hat makes sure you travel in style. American Outback Hats showing consistent strength in creating the perfect hats for durability, comfort, and the free spirited style of any adventurer! Channel your inner artist and live the unconventional life in the new Boheme, designed by artist and jewelry designer Ruby Roxanne Agresta. The tan Boheme features an exquisite laser engraved and airbrushed feather band that is removable and can be used as a head-turning choker, while the brown Boheme features a brass linked hat band with a small star. Both versions are made of rough cut premium leather. This hat an eye-catcher! One of our favorite new designs, the Michelle is up for anything! From strolling the farmer’s market to dancing in the front row of the music festival, this hat is at home. With a full 2-3/4” brim and a tall, well-constructed 3-3/4” crown, this hat can be styled any way you like. The thin leather hatband is carefully wrapped around the base of the crown and lends a bohemian artistic quality to this hat. Whether you choose black suede, mocha suede, or the luxurious gunsmoke suede, this hat will add that certain something to every outfit and occasion you encounter on your adventures. Double G takes a step back from the sleek, refined cowboy look to deliver some new textures and a new style to keep you looking sharp and feeling good! A new addition to our tried and true Double G Hats line comes the stealthily stylish Wing Tip.More than a workhorse, this star of the rodeo boasts a decorative handcrafted detailing on the crown and a hat band. True to its roots, this hat features a sewn-in wire brim for personalized shaping and a perfect fit. Roping, casting, or just strolling, this hat is a show-stopper. Take them by storm in this hat! Bringing a handcrafted pinch on the crown that gives you that carefree Western appeal, the Cyclone is available in five distinctive colors that will please any personality and match your mood no matter which way the wind blows. Keep your eye out for more new designs and styles, we have some very exciting hats in the works! Whether attending a formal event or exploring the streets of a new city, Ashbury has the personality and confidence to show the world there is no such thing as overdressed! With popular style like the Summit and Soho, Ashbury offers not only the look and feel of the retro San Francisco underground but a new take on functionality with crushable, durable leather to make it easy to take these stylish hats on the go and to insure a hat that outlasts seasonal fashion trends and keeps you in style for years to come! Ashbury Hats’ retro designs aren’t merely imitation of the classic underground city style but an inspired collection of hats reminding us that foggy days and a runway aren’t that different with a re-imagination of seasonal colors matched with handmade, easily stored materials. A great hat may speak for itself ~ but it still needs you to take care of it! Finding the perfect hat can feel a little like that birthday when you get exactly what you wished for ~ you want to dance about and show it off to everyone! And right you should, go ahead and show it off! Sport that hat, tip it to strangers, wear it with pride! Your American Hat Makers hat will bring you years and years of joy and happiness – not to mention protection from the sun, rain and wind – especially if you take good care of it. Here are a few videos to help you do just that – our team has compiled a series of videos to help you clean, pack, shape and even add a chin strap to your hat. Here Kameron shares how to do general cleaning of suede and finished leather hats as well as how to get rid of unwanted scuffs and scratches. He also demonstrates the gentle touch required when cleaning our airbrushed and laser etched hats. Watch Kameron demonstrate our hat packing tips! Learn about the hat saving taco move. Learn our best tips for helping your hat maintain its ideal shape. American Hat Makers founder Gary Watrous demonstrates the best way to shape your leather hats using a simple coffee can. He also shows his favorite techniques for utilizing our wire shaping systems. Here is another exclusive video of American Hat Makers founder, Gary Watrous showing you how to attach a chin strap to your mesh hat using a pencil! Not one to be left out, we have Gary’s son, Garth, demonstrating how just how indestructible our hats really are! You have to see this to believe it! If you have any questions please call us – we love to help! Written by Jessica Johnson exclusively for American Hat Makers. Happy Birthday to Gary Watrous! The American Hat Makers family came together last week to celebrate the 66th birthday of founder and president Gary Watrous. 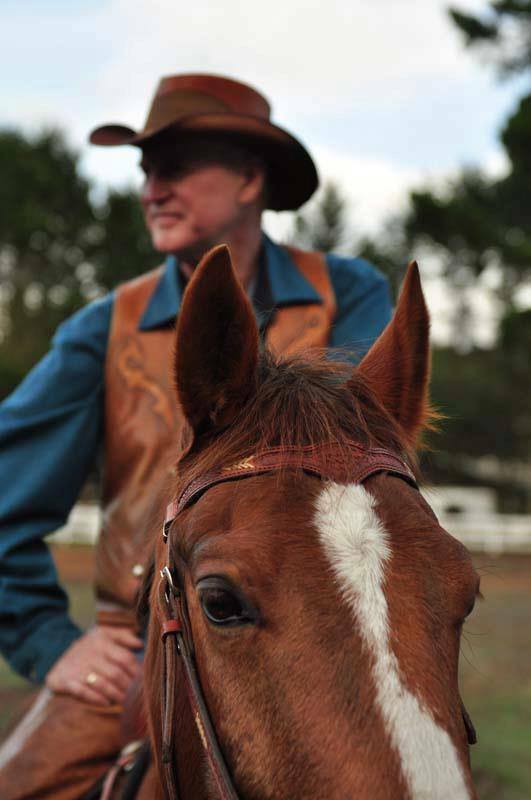 It’s easy to celebrate a man like Gary – he’s far from a stereotypical “boss.” Not only is he profoundly passionate about leatherwork and hat making, he is equally enamored with the team of people working with him at the Watsonville warehouse and boutique. 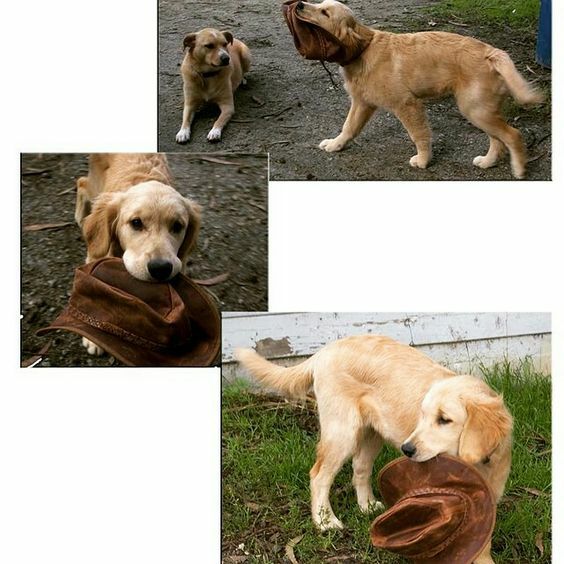 Gary’s heart of gold is the stuff of legend at American Hat Makers, and each and every employee knows they can come to him if they need anything and he will do all he can to help. To Gary, the team he works with is like family. 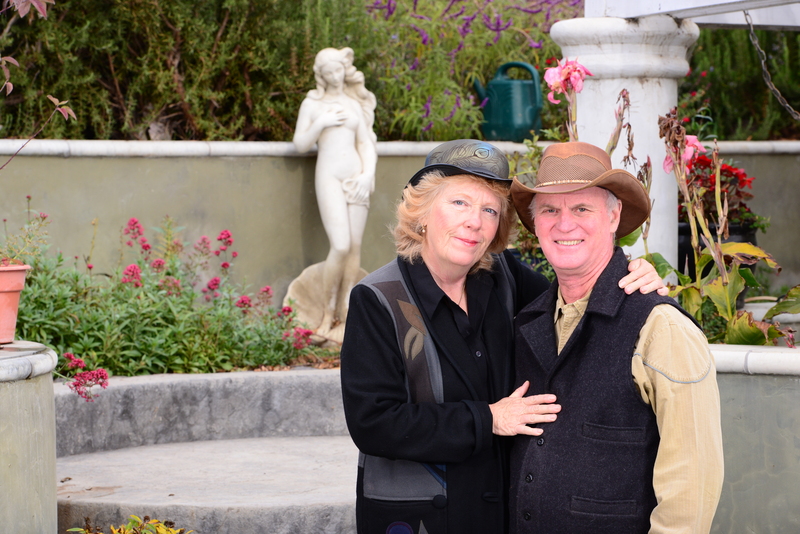 In fact, many of the folks working at American Hat Makers are family. Gary’s wife, Merry Lee contributes to design and creative development; son, Garth, is second in command; and his daughter-in-law, Hannah, is the Director of Global Marketing and Branding. Daughter-in-law Hannah serves the birthday cake. Speaking of those he loves, Gary’s constant companions, Ruby and Pearl, come with him to work everyday. They are an important part of the team and if you come to the shop you may well be greeted by them. If he could, he would likely bring his gorgeous horse, Tucker, to work too! Gary is undoubtedly the golden heart of American Hat Makers – and he is the first to say his family and team are the soul. Please join us all as we wish Gary a very Happy Birthday! American Hat Makers welcomes the opportunity to support the local community and was pleased to donate hats for the 2016 Aptos High School Athletic Hall of Fame silent auction on Saturday, April 30 at the Seascape Golf Club. Inductees included big wave surfer Tyler Fox, extreme skier Cody Townsend, track athlete Stephanie LeFever and many other Mariner standouts. American Hat Makers congratulates the Aptos High School Hall of Fame Class of 2016!